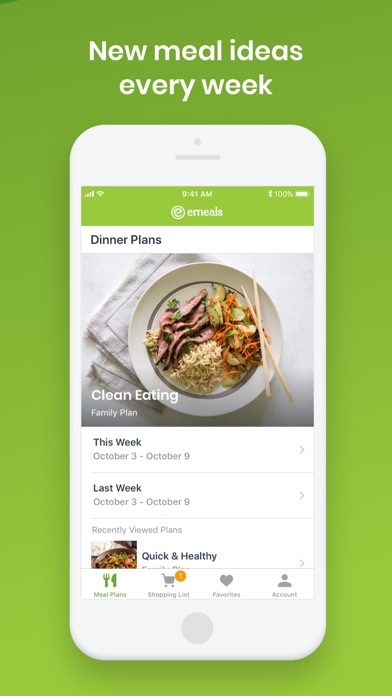 IOS App Developer: eMeals, Inc. The vegan options are seriously lacking in flavor. Do not recommend. I requested a refund for the remainder of my subscription in order to cancel and was told they could not refund me but they would cancel my account. Which means they’d keep my annual subscription money but not give me access to the app. Disappointing user experience. I’ve been an eMeals subscriber off and on for the last 10 years. I was on the fence about keeping my subscription until the last update. 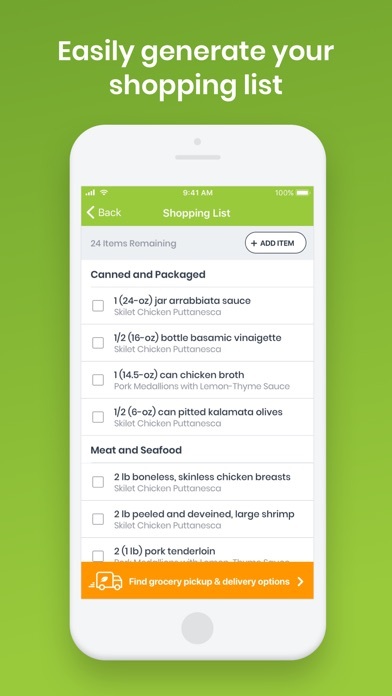 Now it allows you to pick and choose from all meal plans to seamlessly create your weekly shopping list. We eat very varied meals from one day to the next...Gluten-free, Paleo, Keto, Slow-cooker, Low-Carb. We are active and also do some carb-cycling (low carb for a few days then high carb.) I don’t want to be locked into one genre of meals and until now I’ve never found a meal plan that has been able to accommodate how we eat! 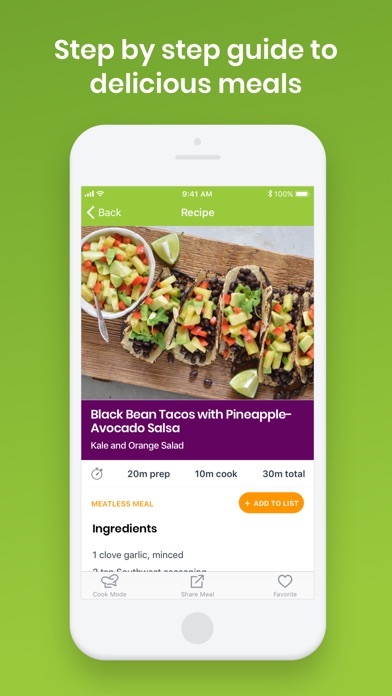 The app now allows and makes it super easy to browse and add meals to your list from every different meal plan. 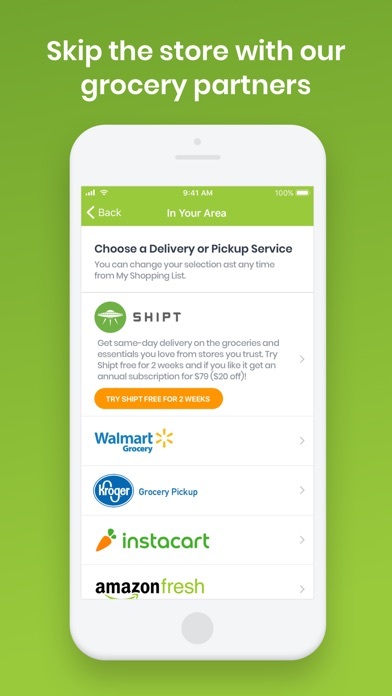 I also love that you can add your own additional grocery items to the list as well. All of this combined makes this app a one-stop-shop for me! Something I’d like to see in a future update is the ability to add your own recipes and then be able to choose from them and have it added to the list as well. Thanks for listening to customer feedback all along the way and keep up the good work! The Best Kitchen Helper I Ever Had! I’ve used eMeals for years and when my boys were growing up it was such a timesaver. As the service has evolved over time the many changes have only made it better. Being able to chose meal plans that cater to my eating style has been a major reason I have continued using the service for so long. But once they linked to grocery stores and allowed me to build and add to their grocery list they became indispensable! To be able to shop and pay from my phone instead of going inside the store myself, and then drive up to the store and have my groceries loaded into my vehicle for me - well it’s all just priceless! I’m hooked for life! Not sure what is happening. I love eMeals and was looking forward to using the app for easier food purchase, but is not working. I’ve deleted and added the app several times. I which the same option was available on website. Better support across platform please. Only option was to shop at Walmart👎🏾. I don’t like produce or meat from there. So this app didn’t work for me. Recipes were expensive, lots of ingredients.... also not practical for an everyday meal. Meals were more for like a special occasion, for a date night or something fancy, not your everyday meals. More IOS Apps by eMeals, Inc.